Five Tool Baseball is proud to announce the addition of a new region, Five Tool South Texas. This region will bring baseball exposure to the following regions in Texas: Austin, San Antonio, San Marcos, and Corpus Christi. With the announcement, there will be seven events in the summer of 2019 that South Texas will run. Aaron Cable will be leading the charge for all Five Tool South Texas events. He comes to Five Tool with a developed baseball background most recently starting up the National Showcase Circuit. 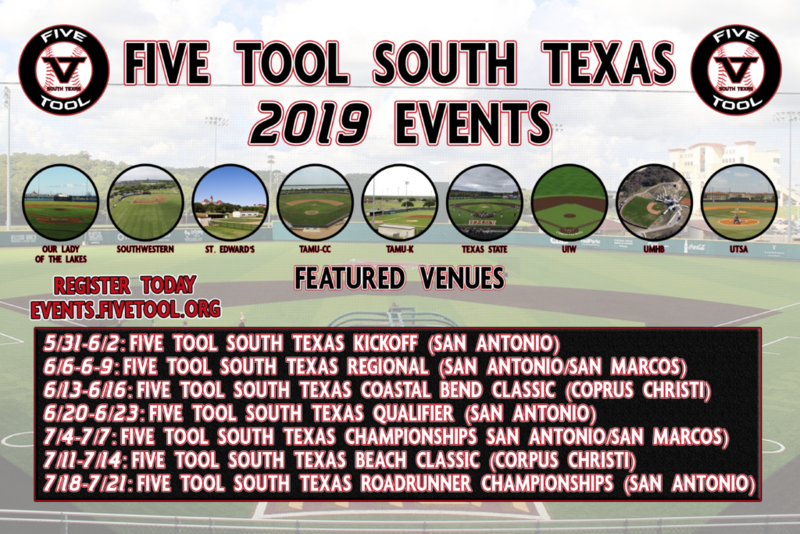 Head over to events.fivetool.org to register for Five Tool South Texas and all Five Tool Baseball events today.